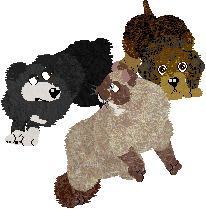 Metiette kennel&cattery arised from a combinantion of my three kennels - Findarato (wirehaired standard dachshund), Solanum (pyrenean shepherd) and Chibis (chihuahua). 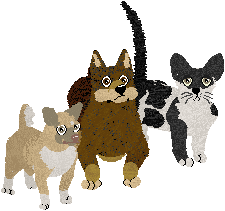 These breeds remain my main, but now I also have a lot of other dogs and cats as well. All my petz are shown on conformation shows on PKC until GCh. Before breeding, a pet must be at least PKC champion. I want to support owners of petz from my kennel, so if you've adopted an animal from my litter you can always ask me for help - with posing or anything else. I also keep .pet files so there's always possibility to send it again to you in case of any problems. Not all my petz are shown on this website. I focus on a few breeds and they are the ones you can see here. All the others are on my PKC profile - check it out, if you're interested! ~Metiette - for other petz.